Home -- signaling a dwelling, residence or place of origin -- embodies one of the most basic concepts for understanding an individual or group within a larger physical and social environment. Yet home has been a little noted, although prevalent, feature in art since the 1950s, a period in which artists challenged the traditional "object" of the visual arts through the use of material and media culture, new forms, and performative actions and processes. 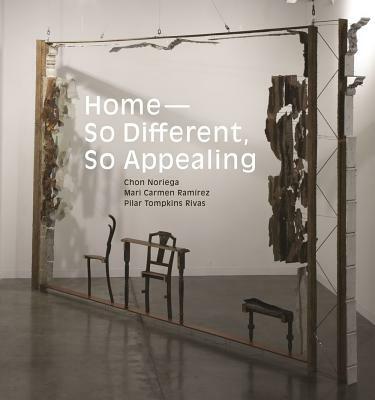 This volume explores works by diverse U.S. Latino and Latin American artists whose engagement with the concept of "home" provides the basis for an alternative narrative of post-war art. Their work brings together an impressive array of formal languages, conceptual strategies, and art historical references with the varied social concerns characterizing both the postwar period in the Americas and an emerging global economy impacting day-to-day life. The artists featured in this volume engage home as both concept and artifact. This can be seen in the use of building fragments or excisions (Gordon Matta-Clark, Gabriel de la Mora, and Leyla C rdenas), household furniture (Raphael Monta ez Ortiz, Beatriz Gonz lez, Doris Salcedo, Amalia Mesa-Bains, Guillermo Kuitca), and personal possessions (Carmen Argote, Mar a Teresa Hincapi , Camilo Ontiveros), and also in the use of coca leaves as a material base of the American Dream and its economic exchange with Colombia (Miguel Angel Rojas). Within more representational work, home is the re-creation of fraught domiciles (Abraham Cruzvillegas, Pep n Osorio, Daniel J. Martinez), a collage of spaces, styles, and materials (Antonio Berni, Andr's Asturias, Jorge Pedro Nu ez, Miguel Angel R os, Juan Sanchez), and a juxtaposition of bodies and place (Laura Aguilar, Myrna B ez, Johanna Calle, Perla de Le n, Ramiro Gomez, Jessica Kair , Vincent Valdez). In more conceptual work, home is all these things reduced to form--a floor plan (Luis Camnitzer, Le n Ferrari, Mar a Elena Gonz lez, Guillermo Kuitca), a catalog of objects (Antonio Martorell, Hincapi ), or a housing development plan (Livia Corona Benjamin, Martinez). In the end, home is a journey without arrival (Allora y Calzadilla, Luis Cruz Azaceta, Christina Fernandez, Felix Gonzalez-Torres, Julio C sar Morales, Teresa Serrano). Home--So Different, So Appealing reveals the departures and confluences that continue to shape US Latino and Latin American art and expands our appreciation of these artists and their work.